About the Children's Department: Grandparenting Ministry = Remember, See and Tell about God's Faithfulness! Grandparenting Ministry = Remember, See and Tell about God's Faithfulness! When we talk about Grandparenting Ministry - ministry which encourages, engages and equips grandparents to pass on a heritage of faith to their grandchildren - there are a few verses we refer to most often. One of them is Deuteronomy 4:9 . . . "You must be very careful not to forget the things you have seen God do for you. Keep reminding yourselves, and tell your children and grandchildren as well." From this verse we see three important things God calls upon grandparents to do - and this is the core of Grandparenting Ministry for churches. 1. We must be very careful to not forget what we have been able to see God do for us. 2. We must be focused upon reminding ourselves of what God has done for us. 3. 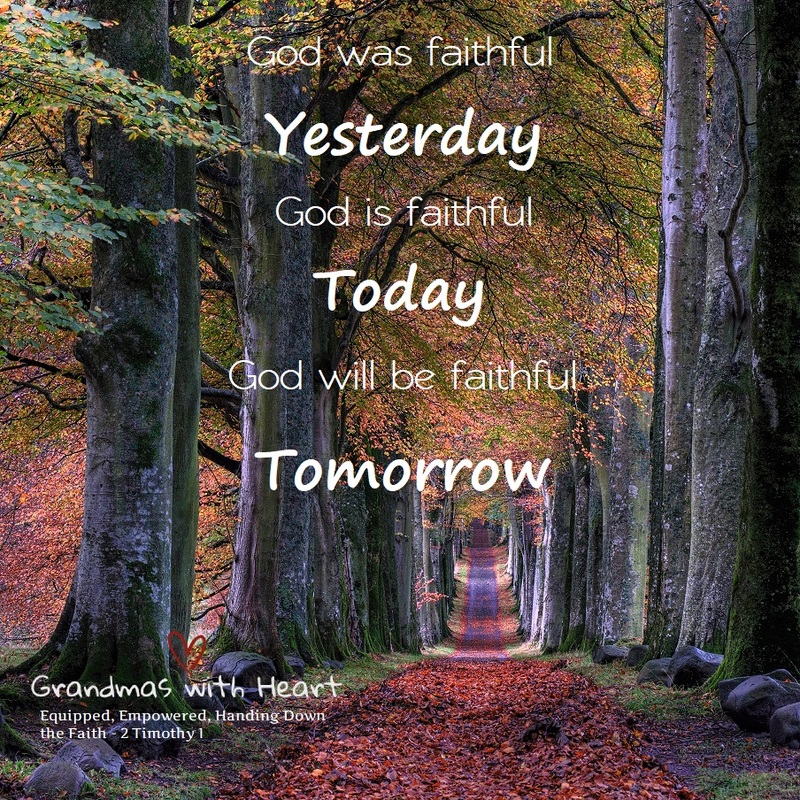 We must be intentional about telling our children and grandchildren how God has shown His faithfulness to us. For grandparents to do these three things, they have to be watching to see the big and small ways God shows Himself to be faithful. Then we have to focus on reminding ourselves of God's faithfulness - tell ourselves over and over again what God has done. One way we can do this is by keeping a faithfulness journal. 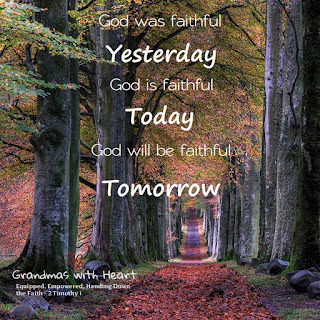 Then, finally, we have to tell our children and grandchildren about God's faithfulness - do not keep it to ourselves! So, if you are a church and are wondering what to do with a Grandparenting Ministry - Deuteronomy 4 gives you a great place to begin - help the grandparents in your church to have their eyes wide open so they are able to see all God has done in the past and continues to do each day, and then help them tell their families! Remember, see and tell about God's faithfulness!